A Mac, like any computer, is a machine, and occasionally you’ll encounter problems. Fortunately, most issues are minor. If your Mac is moving slowly when it was once fast, here are four possible explanations — and solutions. Your Mac needs more memory. The programs you’re running may demand more RAM than you have on hand. You should always buy as much memory as your computer (and wallet) permit. Adding RAM to the recent class of Mac machines isn’t difficult, but it does involve cracking open the case and making sure that you’re buying the right type of memory. 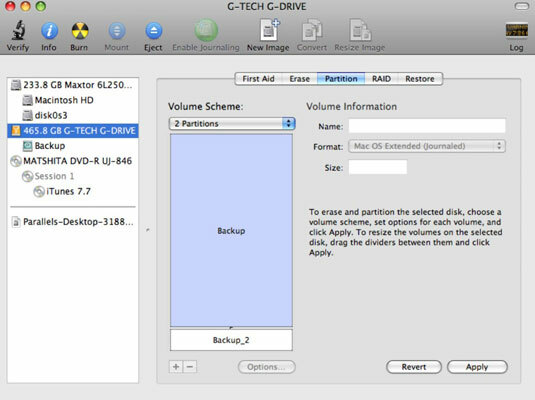 Your Mac is running out of hard drive space. This problem is an easy one: Remove programs or files you no longer use. If everything on your computer is indispensable, purchase an additional drive. Your Mac’s processor, or CPU, is overtaxed. If you suspect this may be the case, open the Activity Monitor by choosing Applications→Utilities. Activity Monitor reveals a lot about the programs and processes currently running on your machine. Click the CPU header to display the applications exacting the heaviest workload on your CPU (central processing unit). The most demanding are on top. Quit those programs you don’t need at the moment. The Mac may be trying to save energy. On a laptop, the Mac may be slowing the processor purposely. Choose Apple→System Preferences and click Energy Saver. Use the Optimization pop-up menu near the top to switch from Better Energy Savings to Better Performance.